How has the landscape, and our perception of it, changed since the Second World War? In our continuing pursuit of questions about how we respond to the transforming planet, a new book provides some answers. For instance, its authors note the shift away from the arcadian English interior to the contested — and wilder — eastern shoreline. This short extract from The New English Landscape examines the artistic treatment and articulation of memory and place. "We can never neatly separate what we see from what we know." — E. H. Gombrich, The Story of Art (1950). ‘The relationship between remembering and forgetting is, paradoxically, related to the relationship between memorials and ruins. Novelist Robert Musil published an essay on ‘Monuments’ in 1936, noting how much of his native city of Vienna was crowded with memorials to soldiers, statesmen and illustrious figures, forgotten ever after. ‘There is nothing in this world as invisible as a monument,’ he wrote. Ruins, by contrast, are a reagent of memory, their incomplete, fractured elements demanding to be visualised or imagined whole again. Ruins invoke empathy and the free play of historical query, where memorials close the lid firmly and decisively on the past. In recent years, the de-historicization of both rural and urban landscapes, as a result of building development and urban renewal, has spontaneously occasioned a return to older practices of informal memorialisation. The roadside shrines commemorating victims of street accidents and other violent deaths, along with the widespread practice of placing commemorative trees, benches, or other markers (including the scattering of cremated remains) at places associated with those remembered, often in view of the sea, clearly suggest that a re-inscription of the landscape, a new counter-reformation, is underway. Such informal modes of reclamation and inscription imply that landscape design needs to articulate site-specific, historical references when it comes to bringing land formerly used for military, industrial or other purposes back into public use. Swiss landscape architect Georges Descombes - who has designed a number of parks and memorial landscapes - has written of the need to restore older landscape structures to the surface again, writing of his approach to the design of a new park on a former industrial site at Lancy in France that it is intended to ‘reveal its energies, the forces which shape it: folds, slopes, streams. Upon this wounded, haggard territory forms are born again, rising up and resisting all levelling down.’ All landscapes are force fields when understood in this way, their latent energies released by sympathetic articulation. Elsewhere in the world, progress on re-imagining and bringing back former industrial landscapes into public esteem is now advanced – as is a respect for the public memory of the sites concerned. Where landscape students used to travel to Stourhead in Wiltshire, Vaux-le-Vicomte in France, or the Boboli Gardens at Bomarzo in Italy to admire the work of the great masters, today’s more adventurous trainees are encouraged to visit Gasworks Park on the shore of Lake Union in Seattle or the Landschaftspark created on the site of the former steelworks in Duisburg-Nord, close to the Ruhr. In Seattle, visitors clamber over rusting retorts and towers or join fellow picnickers on the undulating green sward covering industrial spoil, looking out to ageing jetties where cargo-boats once docked. In Duisburg, strollers climb the 350 foot narrow, iron-caged ladder to the top of the blast-furnace chimneys or venture along catwalks overlooking the shunting yards. These have been planted as orchards, from where one can watch diving club members descend into the black waters of the former coal bunkers, now flooded. Horsey Island, Essex, March 2013; © Jason Orton. These programmes of landscape restoration and design owe much to the land art movement of the 1960s, particularly to the work of American artist Robert Smithson, who was attracted to and energised by the bleak wastes created by suburban sprawl, mineral extraction and rusting industrial machinery. What to others appeared static and ugly, Smithson saw as being in a constant process of entropy — even the new buildings going up he saw as ruins in the making. Land could be shaped in and around the remains of what had gone before to create settings on a more epic, geological scale. Hence his spirited aesthetic credo: the ice age rather than the golden age. Hence, too, the title of the first exhibition he curated in New York in 1968, Earthworks, its name suggested by the title of a novel he had read the previous year by British science fiction writer, Brian W. Aldiss. ‘Don’t underestimate dirt,’ two co-contributors to the 1968 Earthworks exhibition, Michael Heizer and Walter De Maria, telegraphed their art dealer. This recourse to a different scale of time suggested that art and nature might find a new rapprochement. In 1969 Smithson and his wife Nancy Holt travelled extensively in England and Wales, fascinated by ancient standing stones, barrows and geological findings which they researched and photographed obsessively. During the period of Smithson’s explorations, French historian Ferdinand Braudel was suggesting that history operated within three concurrent orders of time: biological time, social time and geographical time. Biological time was that experienced in an individual lifetime; social time was the longer historical and cultural context in which different generations lived and understood their place in history; geographical time was the slow cyclical time of the geological and natural world. People occupy all three time frames simultaneously. A designed landscape could, if properly conceived, weave all three together. Yet some landscape management practices seek to freeze time, and resist geological change, in the name of a fixed aesthetic. When Yew Tree Tarn in the Lake District began to empty as a result of a geological fault, the National Trust spent heavily repairing the fault, so that the beauty of the tarn would be ‘permanent’. As for Edmund Burke before him, the sublime was an unnerving admixture of beauty, order and terror, and not for the faint-hearted nor the corporate piazza. The year before Smithson’s New York exhibition, English artist Richard Long created a work called A Line Made By Walking (1967), in which he walked up and down a suburban field continuously, creating a straight line of flattened grass, which was then photographed. From this he developed the idea of walking as an artistic intervention, annotated or not, as he variously carried pebbles from one side of the country to another, created stone circles in remote places, and in other discreet ways re-energised the force fields of the natural terrain. Long was later to write that ‘my art is always about working in the wide world, wherever on the surface of the earth. My art has the themes of materials, ideas, movement, time. The beauty of objects, thoughts, places and actions.’ While most live in cities today, many of our most prescient imaginings are located in wilder, elemental places, evoking Samuel Beckett’s stage directions for Waiting for Godot: A country road. A tree. Evening . . .
Two British artists in particular have achieved international status in the field of landscape design: Ian Hamilton Finlay and Derek Jarman. For personal reasons Finlay remains special to me because, in 1996, I went to interview him at his isolated house, Little Sparta, in the Scottish borders, for a book I was writing about memorial landscapes. It was an exceptionally cold January afternoon, and many smaller roads were snow-bound. The walk from the hired car took me across several fields, the paths and ditches of which had been obliterated by snow, so much so that I was worried I might lose all sense of orientation in the entirely white landscape, with night coming on. The return walk in total darkness was even worse. 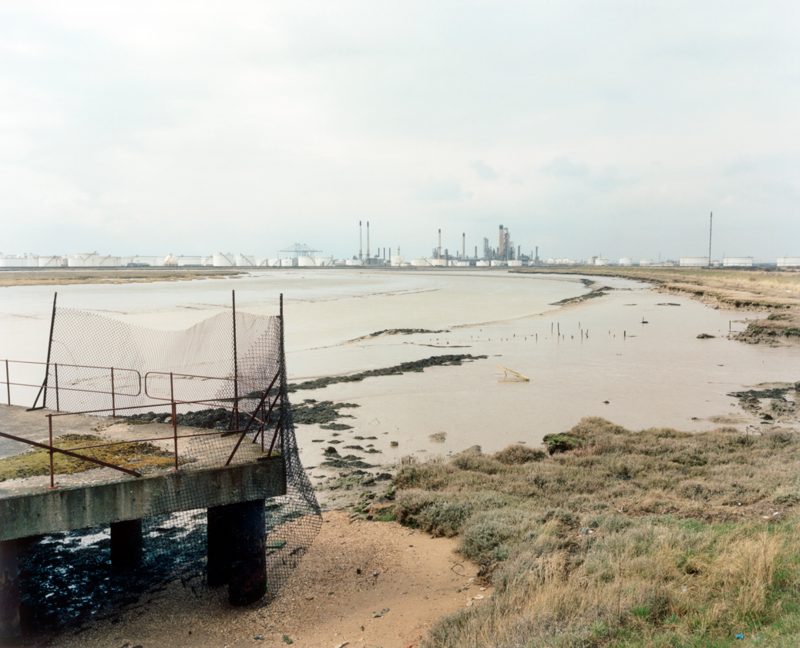 Canvey Wick, Essex, March 2013; © Jason Orton. In Finlay’s work, word puns, elegant typography, and a print-making technique based on picture-book style images and words create a child-like wonder at the connection between words and things. The tension between pictures and labels, images and text, was also at the heart of linguistic philosophy in the 20th century, and Finlay nearly always described himself as a philosopher-poet rather than an artist. A growing interest in the place of inscription – especially in the landscape, often re-working the motifs embodied in Poussin’s paintings of Et in Arcadia Ego — made him better known in Europe than he was in his own country. Even before his death, it was recognised that the garden at Little Sparta was his greatest work of art. There are few modern designed landscapes in Europe which have not incorporated elements of Finlay’s vision of a world made new by reference to the old. Formalism, inscription, the melding of the natural with the sculptural and the architectonic, returned to favour, largely owing to the influence of Finlay, controversial though his allusions and apparent allegiances to the iconography of violence and terror — in the midst of classical calm — remained. Finlay was thoughtful, serious and kind on the occasion I met him, though he employed a vocabulary of politics and art that was entirely foreign to me then, less so now. Central to this vocabulary was the notion of piety. For Finlay, as for Edmund Burke before him, the sublime was an unnerving admixture of beauty, order and terror, and not for the faint-hearted nor the corporate piazza. This emphasis on piety reminded me of a claim made by some environmentalists that people only respect landscapes which contain a significant element of danger. Since the English landscape largely lacks these things, other means of inducing a degree of fear and trembling might be needed or sought: melancholy inscription, admonitory messages of life’s brevity. Some find this in churchyards and cemeteries. Et in Arcadia Ego. Horsey Island, Essex, March 2013. © Jason Orton. ‘I was describing the garden to Maggi Hambling at a gallery opening. And said I intended to write a book about it. 'I don’t think it’s really quite like that,’ I said, thinking of Constable and Samuel Palmer’s Kent. This article was first published in The Journal of Wild Culture, August 22, 2014. KEN WORPOLE is a writer and social historian. His books include Here Comes the Sun: architecture and public space in 20th century European culture (2001), Last Landscapes: the architecture of the cemetery in the West (2003), Modern Hospice Design: the architecture of palliative care (2009) and Contemporary Library Architecture (2013). He lives in London. Ken's site. JASON ORTON uses photography to develop an understanding of landscapes. 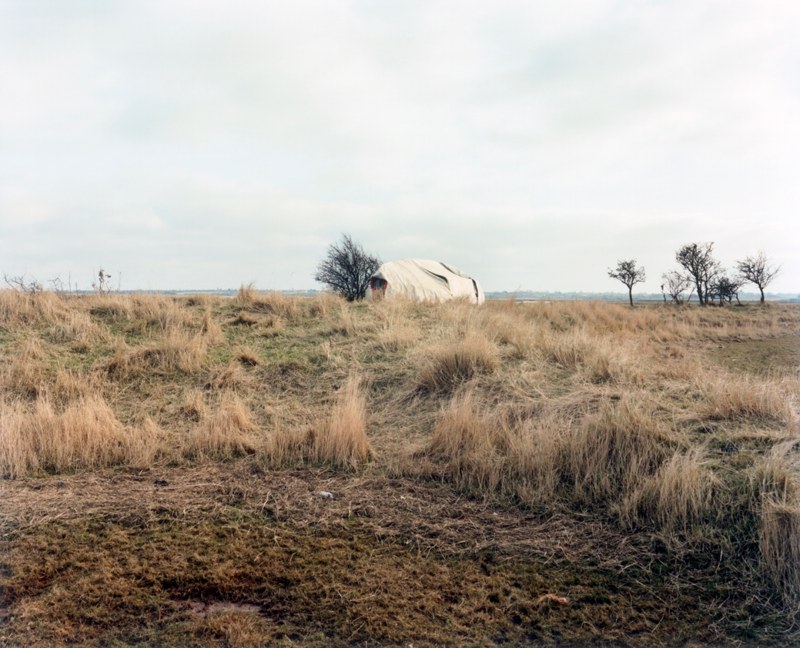 He is interested in what people value within a landscape, the ways in which they connect with the landscapes around them, and in the interrelationship between landscape, history and memory. He lives London. 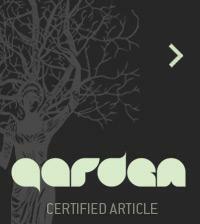 Jason's site. 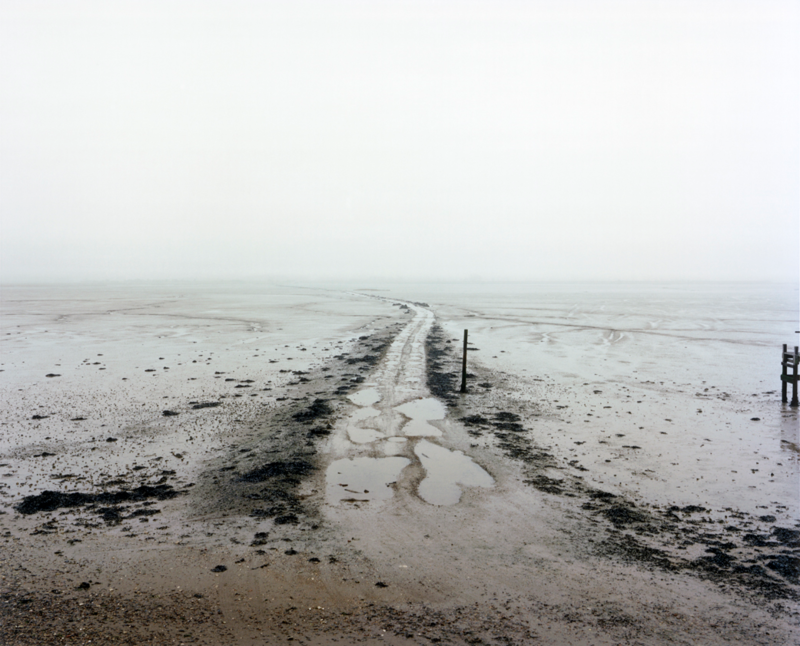 Ken and Jason have also collaborated on a book exploring the coastal and riparian landscapes of the Thames Estuary and East Anglia, 350 miles: An Essex Journey (2005). To buy The New English Landscape, or for more details.